2 common attachments. 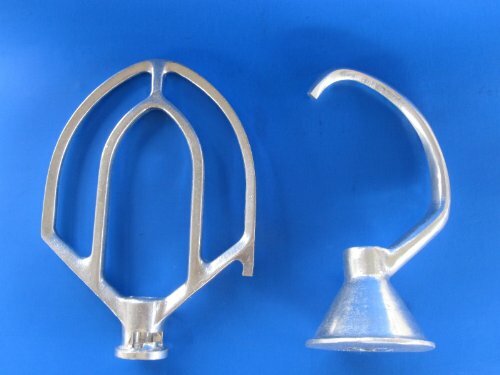 12 Quart "J" dough hook,and flat beater for Hobart c100 mixers. A great combination set for pizza restaurants or bakery. 2 attachments in one order for combined savings. If you have any questions about this product by Butcher-Baker, contact us by completing and submitting the form below. If you are looking for a specif part number, please include it with your message.